California’s attorney general discusses the state of the state with Blueprint editor Jim Newton. As California’s attorney general, Kamala Harris is the top law enforcement officer of the nation’s most populous state, and she’s a formidable presence. Smart, assertive and ambitious, Harris first won elected office by knocking off an incumbent district attorney in San Francisco — where politics is a blood sport — and then winning a squeaker against Los Angeles District Attorney Steve Cooley in the 2010 race for attorney general. That made her, as she likes to put it, California’s “top cop.” She is the first woman, the first African American and the first Asian American to hold that office, which has been occupied by Earl Warren and Jerry Brown, among others. 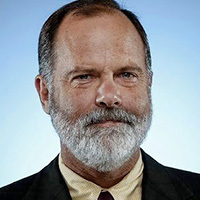 Harris and Blueprint Editor-in-Chief Jim Newton met in March to discuss many of the issues featured in this magazine. With the exception of the final question in this exchange, the conversation was about policy, and Harris discussed a range of issues, including Gov. Brown’s realignment program, which shifts responsibility for many low-level felony offenders from the state to counties; the death penalty; and Harris’ efforts to reduce recidivism. Recidivism has been central to Harris’ work as attorney general, and her conversation with Newton took place just after she unveiled Back on Track Los Angeles, a program to help inmates return to society and reduce the likelihood that they will re-offend. She announced that program at Los Angeles County’s Pitchess Detention Center, and the two had their conversation there afterward, so this is, in a sense, a jailhouse interview. The one question about politics referred to Harris’ latest career move: When Sen. Barbara Boxer earlier this year opted not to seek re-election, Harris quickly announced her candidacy, then waited to see who else might run. 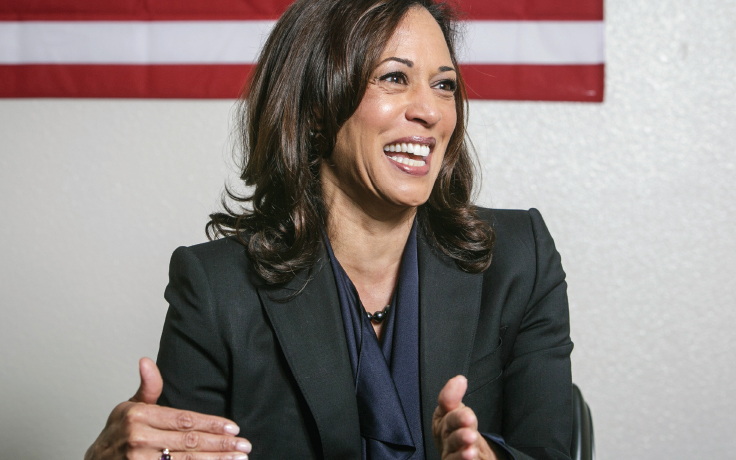 Her biggest potential rival, former Los Angeles mayor Antonio Villaraigosa, took a pass, meaning that Harris now has an easier road ahead, though, as she noted, there’s still time for others to enter the race. What follows is an edited transcript of the Harris-Newton conversation. Some exchanges have been clipped for clarity, and omissions are indicated by ellipses. The order and substance of questions and answers have not been altered. Looking back across your four years as attorney general, what would you identify as the biggest challenge confronting California’s criminal justice system? I think the biggest challenge is being able to adjust quickly to realignment, but I want to put that in context. Realignment is doing … what we should be doing, which is to let county governments have the responsibility for addressing low-level offenders, nonviolent offenders, so that we can focus on recidivism. So it’s not just realignment, but realignment in relation to recidivism? Yes, because based on my experience, the institutions that are best equipped to deal with recidivism are structured around county government — child support, education, the superior courts, public health, the Sheriff’s Department, the jails, everything. So the potential of realignment is, I think, dependent on the structure of local government and the services and duties that it performs. Why, then, is adjusting to it difficult? My sense, too, is that there’s some suspicion that realignment wasn’t really motivated by a deeply considered criminal justice imperative, but rather that it was done to relieve overcrowding and save the state money, so that even if it ends up being a sound criminal justice reform, it didn’t start out that way. Right. And there are examples in nature and in history where things are just thrust upon us, and it forces us to readjust in a way that we actually might do things smarter than we did before. This is one of those examples. At some point we have to move beyond “why” and accept that this is what it is, and so let’s make it work. That’s my perspective. Let’s make this work. …This could be a smarter way of doing business than we were doing before. Do you sense a new mood in California when it comes to criminal justice reform? This was the state that gave us Three Strikes and tough-on-crime measures, but recently voters rolled back some felonies to misdemeanors and eliminated third strikes for nonviolent offenses. Does it feel different to you than it did 10 or 15 years ago? Yes, it does feel different. Part of the dynamic, the environment, is that we’ve seen a reduction in serious and violent crime across the country. So it’s not the hot-button issue that it was, that required public policy that ended with an exclamation point. And by the way, no good public policy ends with an exclamation point. And so, I think the environment is different. People are also starting to see how this has all worked out: They’re starting to see that in many places we’re putting more in our criminal justice system than we are in our educational system, and the public generally — and their mood fuels the politics — is starting to demand that we in government be held more accountable for the return on the investment. Totally. I have talked about this with every stripe of person, of every political affiliation. It’s pretty simple. … We all, Democrats and Republicans, are talking about this a little differently. When I create something like Back on Track, it’s not because I feel sorry for somebody. It’s because I think we could actually be more effective in saving money and enhancing public safety. I want to protect a future victim from ever becoming a victim. Historically, these debates strike me as not only political but also kind of arbitrary. If we had four strikes in baseball, would we have a whole different sentencing system? Right. Part of the problem is that we have defined our success … almost purely on how we react [to crime]. Was the suspect arrested? That’s a measure of success. Was he convicted? That’s a measure of success. Was he sentenced to some long prison term? That’s a measure of success. This is not only bipartisan, it’s nonpartisan. … I’ve never known a robber who approached his victim and asked: Are you a Democrat or a Republican? Talk about juvenile justice, which we address elsewhere in this edition of Blueprint. Are there special issues there that are in need of reform or attention, beyond those in the adult system? Oh, yeah, absolutely. … If we want to stop something, we must ask what’s going on and why. In this case, it’s as clear as the ring of a bell. The vast majority of these children have untreated trauma. We’re not diagnosing that, and we’re not treating it. They’re literally suffering from post-traumatic stress disorder. If you’re talking about the 6-year-old who goes to sleep every night hearing gunfire, who has immediate relatives who have been killed and maybe even in front of that child, we can’t expect him to go to school the next day and learn. He’s experiencing what anyone exposed to violence experiences. He’s having flashbacks. He’ll act out, be unruly, quickly get designated as the bad kid, self-identify that way. He can’t concentrate or focus in class, he’ll skip school, start to then hang out. If he’s not getting educated in school, he’ll get educated on the streets. Then he starts slinging drugs, and there you go. Welcome to the revolving door of crime. If we could do one thing to fix what’s going on in the juvenile justice system, I would give the highest priority to diagnosing and treating trauma. You oppose the death penalty personally but have defended it in court. Two questions: Do you believe the death penalty acts in any way to deter crime, and do you believe it has any place in the system anywhere, or should it be abolished nationwide? I am personally opposed to the death penalty. I will follow the law, which is what I have done as attorney general. I think the deterrence argument, among the arguments in favor of the death penalty, is probably one of the weakest. There’s also the cost: We could put a thousand more police on the streets to solve unsolved homicides. There’s the disparity in terms of the application. And there’s the reality that DNA has proven that there are people on death row who are not guilty. And you can’t take it back. It’s an ultimate punishment. You can’t take it back. How serious a problem is racial bias in policing? I’d like to believe, and I do believe, that California is, generally speaking, ahead of the game, but there’s still work to be done. I’m not pretending there’s not. This is an interview about policy, not politics, but I need to ask a quick political question before we finish: Were you surprised that some potential contenders passed on the race for Boxer’s seat, clearing the way for you? It’s not clear yet. There’s another year. I’m knocking on wood all the time.